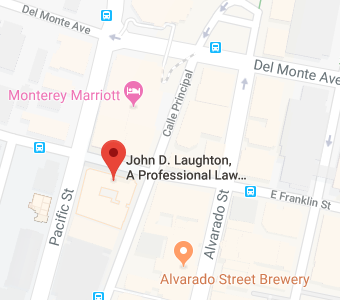 That is why Law Offices of John D. Laughton, A Professional Law Corporation offers this wealth of free information and free seminars. Read our Estate Planning articles, and if you’re in the area, join us at an Estate Planning seminar. We want you to feel confident about the choices you make & let us be your guide on the path toward preserving your family’s future. Through the use of Living Trusts, Wills (simple & complex), Powers of Attorney, Advanced Health Care Directives (formerly called Health Care Powers of Attorney and Living Wills), Irrevocable Trusts, Family Limited Partnerships, and Charitable Gifting Strategies, our firm helps families preserve their wealth for future generations, minimize estate taxes, and avoid the expense and nightmare of probate. We provide comprehensive, tailored estate planning services to meet all of our clients needs. Below is a sampling of the type of services we offer. If you have questions about any of our services, please do not hesitate to contact us or call us at (831) 649-1122. We help clients preserve their wealth and achieve their long-term financial goals. Our attorneys work closely with clients financial advisors to make sure their estate plan and their financial plan are coordinated and meet the clients goals. If you are part of a faith based community, there is a profound belief that all that one has comes from God and that one is merely a steward of it during your lifetime. The question then becomes what you do with that wealth and wisdom at the end of your life. Your documents are modified to reflect this belief.